Saudi Crown Prince Mohammed bin Salman’s Iraqi charm offensive amounts to a far more concerted and successful effort than attempts more than a decade ago by then Saudi King Abdullah to reach out to Iraqi Shiite leaders, including firebrand Muqtada al-Sadr and involving the organization of ameeting in Mecca between Sunni and Shia Iraqi religious leaders. King Abdullah’s efforts did not at the time involve a crackdown on funding by Saudi sources of a devastating Sunni Muslim insurgency. It took the kingdom 11 years to open its first embassy in post-Saddam Iraq, the kingdom’s first diplomatic presence in the country since it broke off diplomatic relations in 1990 because of Saddam’s invasion of Kuwait. Even then, relations got off to a rocky start with Iraq demanding thereplacement of the kingdom’s first ambassador, Thamer al-Sabhan, after he publicly criticised Iranian involvement in Iraqi affairs and the alleged persecution of Iraqi Sunni Muslims. 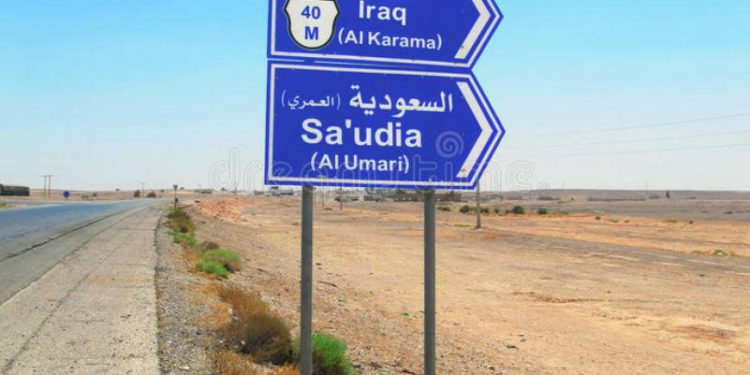 A Saudi Arabia-Iraq Coordination Council, inaugurated last year aims to strengthen security ties as well as economic and cultural relations envisions student and cultural exchanges and Saudi investment in oil and gas, trade, transport, education, light industry, and agriculture. Saudi Arabia pledged$1.5 billion for Iraqi reconstruction at a donors’ conference in Kuwait in February. “It may well be the case that if Saudi Arabia…were to move quickly to share sensitive financial information with the United States, regulate or close down Islamic banks, incarcerate prominent Saudi citizens or surrender them to international authorities, audit Islamic charities, and investigate the hawala system—just a few of the steps that nation would have to take—it would be putting its current system of governance at significant political risk,” the study warned. “Saudi engagement in Iraq carries great risks — it could spark a regional war. So be it: The consequences of inaction are far worse,” Mr. Obaid said in 2006. “They sent boxes full of dollars and asked me to deliver them to certain addresses in Iraq. I know it is being sent to the resistance, and if I don’t take it with me, they will kill me,” one driver said. He said he was instructed to hide the money from authorities at the Iraqi border. “We have stockpiles of Strelas and we are going to surprise them (the Americans),” a spokesman for the party, said. The Iraqi cleric involved in the purchase of the missiles was suspected to be Sheikh Harith Sulaiman al-Dhari, a tribal chieftain dubbed “the Spiritual Leader of the Iraqi Resistance” with a lineage of opposition to foreign rule dating back to the killing in 1920 of a British colonel by his father and grandfather. Iraqi authorities issued an arrest warrant for Mr. Al-Dhari in late 2006, who has since passed away, on charges of inciting sectarian violence after he visited Saudi Arabia.